away at the age of 66 on Oct. 5, 2018. He is survived by his wife, Linda Hamer Warriner, his son, Elias William Warriner, and his niece, Rachel Benell Bednar Blanford of Minneapolis. He is preceded in death by his sister, Hallie Jean Warriner Bednar, and his parents. Hervey grew up in Belvidere Ill., graduating from Belvidere High School in 1970. He then attended Millikin University-Decatur, where he majored in theater and music, performing with the university choir across the US and Europe. Upon graduation, Hervey opened the Copy Express print shop in Woodstock. After managing Copy Express for 25 years, Hervey traveled the country as a driver in the trucking business. Hervey and Linda were married on March 31, 1984. Their son Elias was born June 10, 1996. Hervey often brought Linda and Elias on his travels; together, they visited 48 states and made lasting friendships around the world. Hervey lived a life full of love, faith, music, and laughter. He loved theater, and is remembered for his inspired, crowd-pleasing interpretations of Harold Hill in The Music Man and Benjamin Franklin in 1776. A true renaissance man, Hervey also had a lifelong love of literature and language. He enjoyed reading and was self-taught in French (très impressionnant). Hervey devoted much of his life to service to others. A devout Christian, Hervey was a reader, leader, and lifelong member of the Christian Science Church, where he used his musical talents to sing moving solos every week. Hervey was also active in the Woodstock Rotary Club for many years; during this time, he sponsored many exchange students as the Rotary Youth Exchange Officer. He was known for his humor, which he used to great effect as the publisher of the weekly Rotary newsletter. 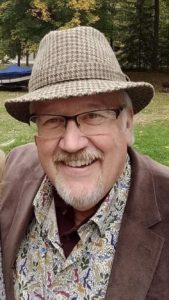 Hervey will be deeply missed by his community and his family, including Barb, Renee, Rob, and Ryan Hamer; Rita Hamer; Mark, Sharon, Chloe, Sophie, and Annie Hamer; Dale Bednar and Sean Blanford; and longtime friends Barry and Emily Johnson. 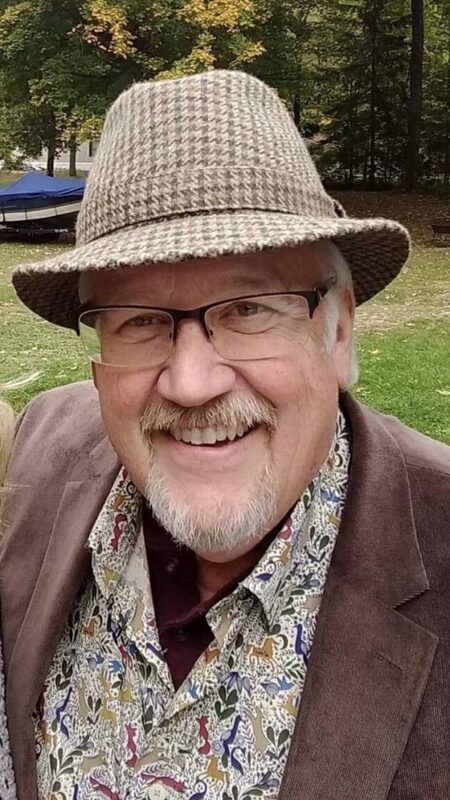 A memorial service will be held on Saturday, Oct. 13 at Schneider Leucht Merwin Cooney Funeral Home, 1211 N. Seminary Ave, Woodstock Ill. 60098. 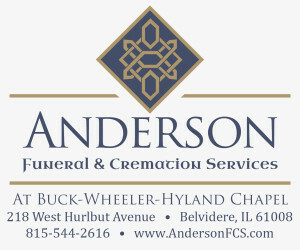 A visitation will be held 9 to 11 a.m., with a service at 11 a.m.
A memorial can be made to First Church of Christ Scientist at 111 W. South St. Woodstock, Ill. 60098 or the Woodstock Public Library at 414 W. Judd St. Woodstock, Ill. 60098.